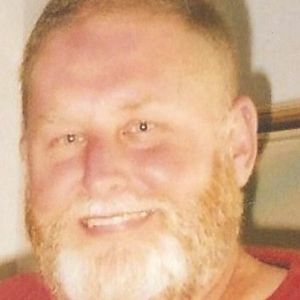 CENTRAL CITY - Steven Ellis Osteen, 58, of Central City, died Monday, May 20, 2013 at 1:50AM at Norton's Hospital in Louisville. Mr. Osteen was born July 12, 1954 in Muhlenberg County. He retired in 2012 from the Kentucky State Highway Department as a Highway Maintenance Supervisor in Muhlenberg County, and was of the Baptist faith. Steve served in the U.S. Marine Corps from 1971 - 1973, and the Kentucky National Guard from 1974 - 1978. He worked for the Central City Police Department from 1988 - 2003, serving as police chief from 1995 - 2003. He received a Silver Star for Bravery from the Police Hall of Fame, and a Life Saving Award from the Police Hall of Fame. He was preceded in death by his father, William Floyd Osteen. Survivors include his wife, Rose Anne Gray Osteen; sons Steven Osteen II of Central City and Jordan Osteen of Central City; daughter Brandi (Chris) Vaughn of Mesa, AZ; step-sons Aaron (Amy) Patrick of Livermore and J.C. Moore of Central City; adopted son Frank Chesla of Central City; three grandchildren; parents Carl and Shirley Reno of Central City; brothers Tim (Anita) Reno of Louisville and Rev. Bobby (Debbie) Reno of Nortonville; sisters Candy (Ricky) Franklin of Dawson Springs and Robin (Mark) Eades of Central City; and best friend/brother Greg Baxter of Owensboro. Funeral services will be Wednesday, May 22, 2013 at 3:00PM at Tucker Funeral Home in Central City, with Rev. Bobby Reno officiating. Burial in Fairmount Cemetery. Visitation will be Tuesday after 5:00PM at the funeral home. Online condolences may be made at www.tuckerfuneralhomes.com. Five years have passed as quickly as a Swoop from Lejeune to home and back . Still miss you and always will. Four years has passed so quickly for me but I know it's like four days to you in Heaven . We all miss you much but know you are in no more pain and are the healthy young Marine I met at Camp Lejeune way back in 1971 . Two years tomorrow and it seems more like two months . I sure miss the "Swoop" stories and the great times Brother . I feel secure knowing you are up there watching me . Semper Fi and see you when I get there . A year tomorrow , how is it possible? I still visit you every once in a while , or at least where they buried you. I know that you are not there , but at the "Pearly Gates of Heaven " standing guard (as any Marine worth his salt would do) and waiting on me . I know I will see you again and that you will have everything in order by the time I get there.I also know that you suffer no more , and watch over me , as I need it . See you later my Brother . Rose Anne, I'm so very sorry for your loss. So sorry for your loss. We just found out today about Steve. We will greatly miss him. If we can do anything for you let us know. Our prayers are with you. I consider myself a very lucky man to have crossed paths with a young Marine from Ky that afternoon in the squadbay at Camp LeJeune N.C. We bonded pretty quickly and traveled thousands of miles together on ships , trucks, tanks , but mostly "The Red Airplane " as Steve dubbed my new Red Chevelle . I can say that I have been fortunate to have known such a great and gracious man . I have lost my best friend but know I will see him again. My Prayers are for all the Family members involved . SEMPER FI and see you in Heaven Brother. Steve was a good friend to me, and always loved picking at me. I will miss him always. My prayers go out to rose, steven, brandi & jordan. May God comfort your hearts.